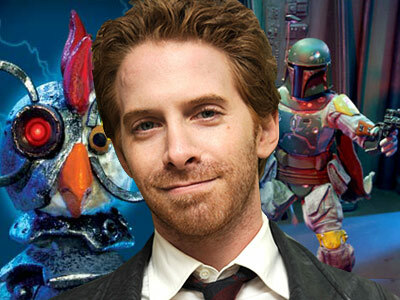 Seth Green Set to Star in Hacker Miniseries ‘Delete’!!! Seth Green has joined the cast of ‘Delete’, which is a four hour miniseries that centers on a near future where the internet has turned on humans. DUH-DUH-DUH-DUH-DUH (Terminator theme music in my head). Green will play Lucifer, and by Lucifer, I don’t mean the Devil. Lucifer, which I imagine is a code name is described as a hacker activist who is a cross between Gene Hackman in Enemy Of The State and WikiLeaks’ Julian Assange. Can this show get any stranger? Green joins Keir Gilchrist, Matt Frewer, Janet Kidder, Erin Karpluk, Gil Bellows and Ryan Robbins in the show. The miniseries is directed by Steve Barron. Stargate SG-1 scribes Joseph Mallozzi and Paul Mullie wrote the screenplay. A very strange premise. It seems like they took the ‘Hackers’ premise and turned it into a Terminator movie. Who knows? This entry was posted on Tuesday, August 14th, 2012 at 3:14 pm	and is filed under News, Television. You can follow any responses to this entry through the RSS 2.0 feed. You can skip to the end and leave a response. Pinging is currently not allowed. « Bryan’s Must Own Bluray/Dvd’s For The 1st Week Of August 2012!! !